Luckily with the power of social media, we're able to educate ourselves about the normalities behind bikini bodies. Whether that's seeing curvey frames, body scars, stretch marks or muscular women. We can see that many men and women are no longer afraid to show their beauty and embrace their flaws. However, I know for many of you out there that the thought of exposing your bodies in the sun by the beach or pool is terrifying - I get it I've been there. 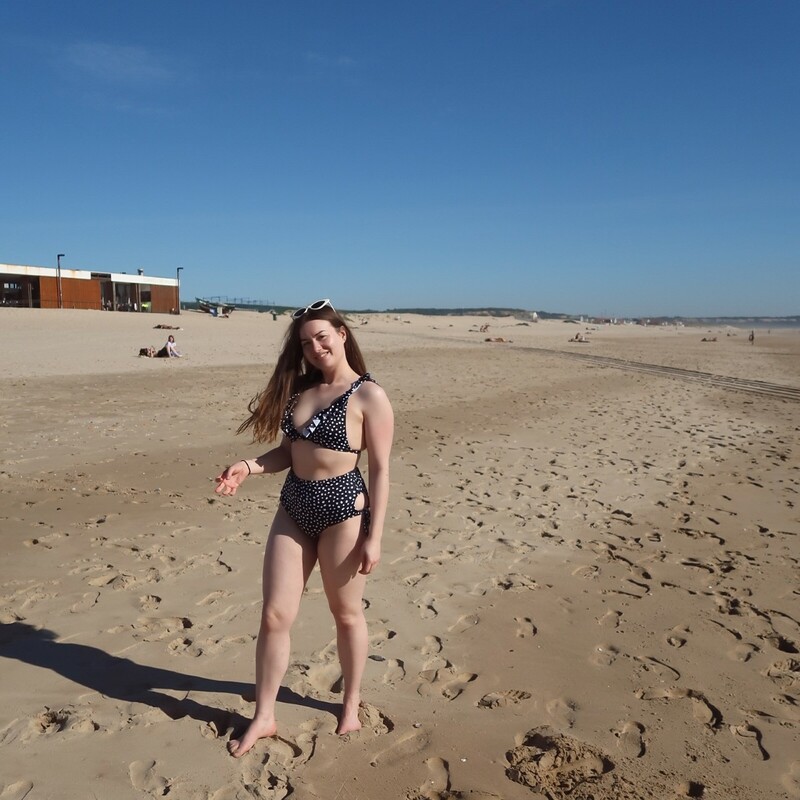 For years I filled myself with so much anxiety before going on holiday I used to dread stripping off down to my swimsuit in front of strangers because I was bigger than my cousins, friends and my ex-boyfriend. I used to get myself so worked up thinking that I needed to be slimmer before I went on holiday. I'd try anything to try and fix a problem that was in my head and restrict what I ate to lost weight quickly. I knew deep down that I was doing wasn't healthy and that I needed to work on mental health and accept what's in front of the mirror- ME. I realised that the problem wasn't my weight as I knew I ate a well-balanced diet and worked out regularly in the gym, but it was what I see looking back at me. I hated looking at my reflection as I'd nitpick everything I didn't like about my figure such as my curves like my big hips or not having a big enough bum. I would also ignore what people tell me about the way I looked. I'd reject compliments and believe that I was still too fat. However, over time, I knew I was making myself feel bad for no reason as to why should I feel the need to look like someone else? It was then that I noticed that I needed to accept my imperfections and just be myself! For the first time this year, I felt relaxed on holiday and not filling myself with so much anxiety about the way I looked. I didn't let the past take over my future and my new memories with someone that believes in me and encourages to share more about being body positive. I felt like it was important to remind myself that I'm fine just the way I am and that I can grow as a person and tell you all that you are beautiful just the way you are. Self-love is about accepting YOU and doing that means you've got to overcome every layer that makes you powerless. My biggest weakness was my relationship with food and body image. I overcame BED and bullying; however, the trauma of both those experiences did haunt me as an adult. I'll admit and say that it wasn't easy but didn't let it defeat me. I've stopped following influencers that made me compare my body, I've unsubscribed to magazines that made me feel like I need to stop treating myself and I've now grown to be a much happier person inside and out.